petizione: Save Kittens from "Killing Season" Now! Save Kittens from "Killing Season" Now! With spring comes "kitten season"—but at Alley Cat Allies, we know springtime is often "killing season." When well-meaning people find newborn kittens, many bring them to shelters—not knowing that in many shelters, they&apos;re likely to be killed. Kittens are extremely vulnerable in their first few weeks of life and require round-the-clock care to survive. In fact, many newborn kittens who are brought to shelters are killed simply because there are no lifesaving programs in place. But with your help, we can change that. 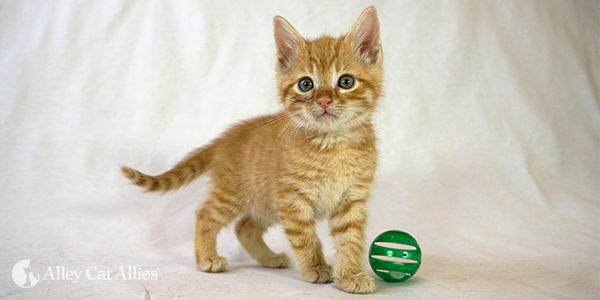 Alley Cat Allies helps shelters and communities work together to save kittens from being killed. Your signature will make it clear to shelters and communities that you support changing their policies and practices to save kittens&apos; lives. Join us today, so we can save countless kittens&apos; lives by working with shelters and communities to implement lifesaving policies and programs and ensuring that kittens get the care they need.